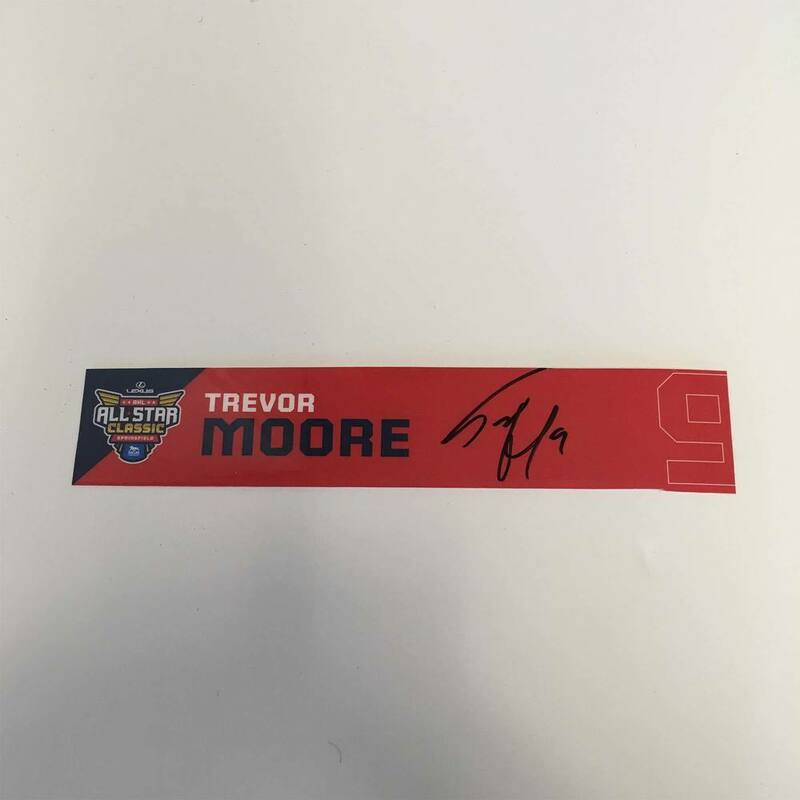 Place your bid now on this 2019 Lexus AHL All-Star Skills Classic Locker Room Nameplate Used and Signed by #9 Trevor Moore! Moore represented the Eastern Conference and North Division at the 2019 Lexus AHL All-Star Skills Competition. The 2019 Lexus AHL All-Star Classic presented by MGM Springfield took place January 27-28, 2019 at the MassMutual Center in Springfield, MA. 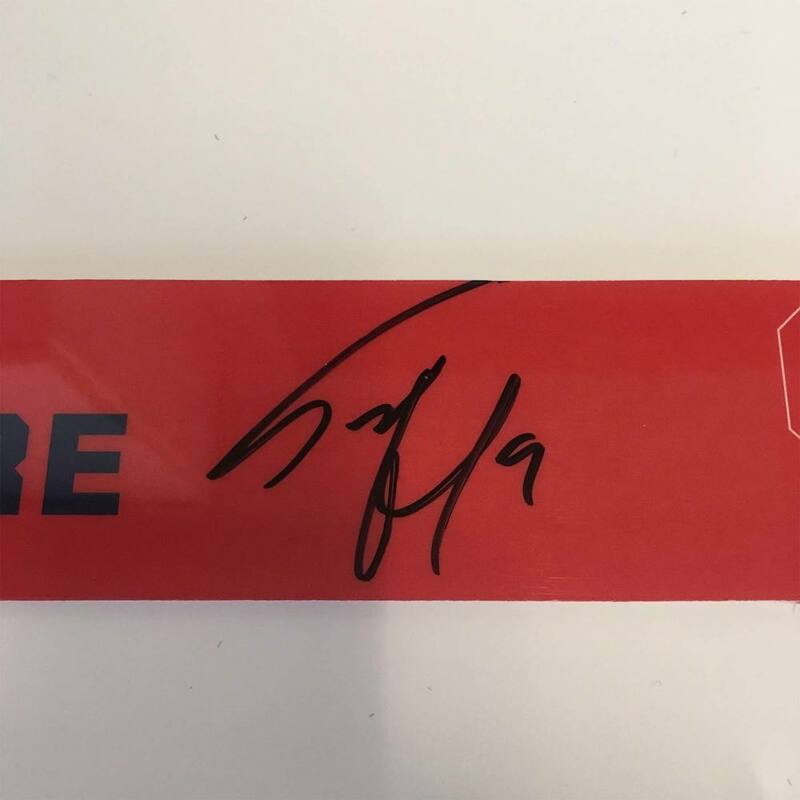 Certificate of Authenticity will come with the shipment of this nameplate. *All products ship from Springfield, MA within 1-3 Business days upon receipt of payment. *Please note: All jerseys will be shipped with signature required for delivery. *Customers are responsible for all duties and taxes that may be associated with international shipments. For customers who win or are bidding on multiple items, combined shipping is available. To receive combined shipping, please send an email to AHLAuthentic2@theahl.com with your order number by 2:00 PM EST on the first business day following the conclusion of your auction. Combined shipping costs will be given as a refund on your credit card. Example: If the auction closes at 7:00 PM EST on Friday night, the customer has until 2:00 PM EST on Monday to request combined shipping. AHL Authentic follows the sales tax laws of the Commonwealth of Massachusetts. All orders shipped to Massachusetts addresses are subject to sales tax. The amount of sales tax charged is based on current tax rates. For international shipments, sales tax will not be charged; however, any duties or taxes will be the responsibility of the customer. Canadian/International Bidders: The winning bid will be converted from US funds to the currency associated with your credit card prior to processing payment. This conversion rate is determined on the day of which payment is processed by your affiliated credit card provider. For product questions, please email AHLAuthentic2@theahl.com with the listing # found at the top of the page. All inquiries will be answered within 24 business hours. If you have any questions about your order, please contact us at AHLAuthentic2@theahl.com. If you are not satisfied with your order, customers have 30 days to return any item(s) to AHL Authentic. The buyer will be responsible for all shipping costs associated with the initial shipment and the return shipment. AHL Authentic will only refund what customers paid for the item(s).